Investigators are zeroing in on a white pickup that Kyron Horman's stepmother was driving the morning more than two months ago that the 7-year-old vanished from his northwest Portland school. Authorities at a news conference Wednesday asked for the public's help in tracing the truck's movements and determining who was in or around the vehicle. At least two witnesses have told police they saw a second adult waiting in Terri Horman's truck while she was with Kyron at his school science fair the day he disappeared, reports CBS News correspondent Priya David Clemens. Bruce McCain, former captain of the Multnomah County Sheriff's Office, told CBS News, "The identity of that second person, if he or she existed, could be critical in determining what happened to Kyron after 9 a.m. on June 4." 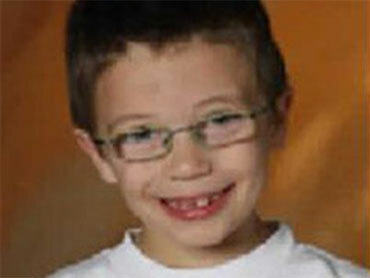 Kyron vanished June 4 following a science fair at Skyline Elementary School. Over the weekend authorities distributed a flyer to residents who live near Skyline asking for information about stepmother Terri Horman and one of her friends, and their whereabouts on the day Kyron disappeared. Terri Horman has not been named a suspect in the case. Multnomah County Sheriff's spokesman Jason Gates refuses to offer any details about the direction of the investigation. Kyron Horman Stepmom Arrest "Inevitable"
Arrest Imminent in Kyron Horman Search?